The certificate of temporary asylum issued on 26 Nov., 2015. The lawyer of Viktor Yanukovych Vitaliy Serdyuk on 9 December 2016 submitted to the Prosecutor-General's Office of Ukraine an official certificate of the status of Ukrainian ex-president in the Russian Federation. He also made a copy of the document available to RBC-Ukraine news agency along with a statement on the refusal to accept the suspicion of treason on behalf of his client. According to the document, the Federal Migration Service of Russia in the Rostov region issued the certificate of temporary asylum in the Russian Federation on November 26, 2015 for a one-year term. Later on, the permit was extended for another year. 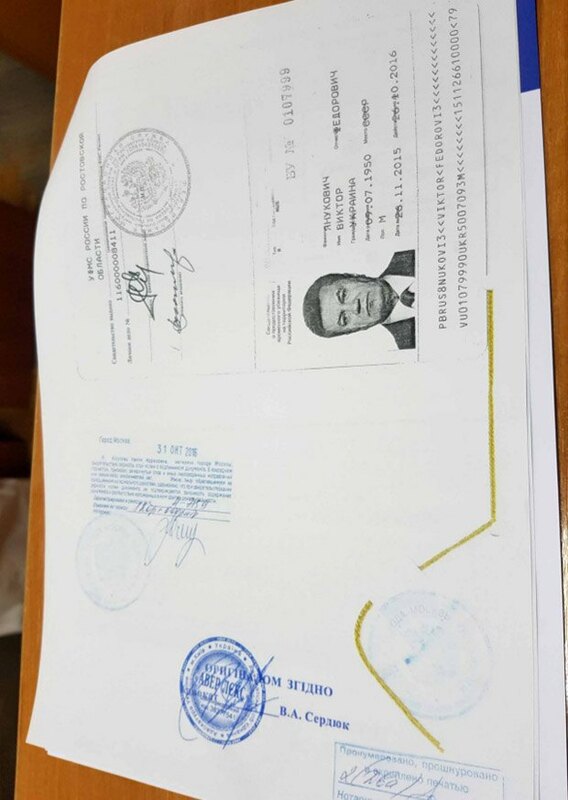 "The certificate of temporary asylum is a document certifying the identity of its owner, and confirms the legality of the person's stay in the Russian Federation," the document reads. A person who has been granted temporary asylum cannot be returned against his will to the country of his nationality of former country of residence." Russian legislation provides that persons who are not citizens of the Russian Federation may not stay be in its territory for more than 90 consecutive days. Yanukovych is in Russia since the end of February, 2014.